What Options Are There When Facing Foreclosure In Colorado? 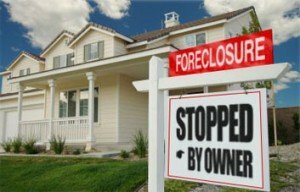 When facing foreclosure in Colorado, it’s critical to know all of the options and choices that are available to you, so you can handle the problem in the fastest, most effective manner without tarnishing your credit report or angering the banks to the point of auctioning off your property. Basically, you will have to first decide whether or not you are going to attempt to try to save the home, or simply sell it and pay off the loans to prevent your credit from being impacted. If you are going to try to save your home, then you must get in touch with our Colorado foreclosure specialists immediately who will take a look at your situation and talk to your lender to see if there are any negotiations that can be made to get you some more time, or if you are going to have to employ a different type of strategy to save your home from being foreclosed on. In some cases, it may be too late to save the home, in which case you will have to accept the facts of the matter and come up with a solid game plan for paying off the loan before it impacts your credit score. If you want more information on saving your home, selling your home, or you simply want to talk to one of our foreclosure experts about your specific situation please give us a call or text right now at (719) 286-0053 and one of our team members will assist you with your questions, comments, and concerns. Close quickly without delays. When you are going through pre-foreclosure or foreclosure, and you have already been served with a notice of default, or have an auction date scheduled, there’s no time to play around….you need a home buying company who can act fast to purchase the home with cash so there is no delay and no chance for the bank to auction off the property. No fees or out of pocket expenses. If you are going through foreclosure, chances are you don’t have a bunch of money laying around to invest into your house in order to fix it up and sell it, or to pay for listing fees and commissions….One of the biggest benefits of selling your foreclosure home to an investor is that you won’t have to pay any fees or out of pocket expenses whatsoever. No impact on your credit. As long as you contact us with enough time left on the clock (don’t wait!) then we will be able to help you by purchasing your home and paying off your lender with cash in as little as seven days, and this will stop the foreclosure process in it’s tracks and prevent it from impacting your credit report. Avoid filing bankruptcy. We see a lot of homeowners who are in foreclosure think that bankruptcy is the answer, and will solve all of their problems, and delay the foreclosure. And while this is true, it will delay the process….slightly…it is NOT a good solution to your problem, and it will RUIN YOUR CREDIT FOR AT LEAST 7 YEARS! Do you really not want to be able to get a loan on another property for seven long years….think long and hard about this before making a decision that could impact the rest of your life. DON’T FILE BANKRUPTCY! Despite what you may gather from public opinion and talking with lenders, you can actually walk away from foreclosure with your credit intact and money in your pocket. The way to do this is by finding a professional home buying company that is used to dealing with foreclosure properties. We here at HBR Colorado have been working with foreclosure homes for several years now, and we are experts at negotiating terms with lenders, and buying properties before the foreclosure has gone through. We are all about streamlining the entire home buying process with the goal of preventing the foreclosure from taking place and impacting your credit, so don’t hesitate, and call us today at (719) 286-0053 because we may very well be the best chance you have at selling your home and paying off the loans, and even putting some extra cash back in your pocket at the end of the day, and that’s the icing on the cake for us. We love helping people. Please understand…your loan payoffs to have to be at a low enough price point to make this deal work, so if you are upside down on your loans then the only option is a short sale (which we can also help with), but in these situations most of the time we will refer you to a local real estate agent who specializes in short sales and can net you the maximum dollar amount for the home, provided there is enough time. Can I Sell My House in Foreclosure in Colorado Springs?